Another inspiring story from Edie W. who’s cancer marker numbers are down! Edie W., 68, from Tucson, AZ, has allowed us to share her wonderful testimonial with you. She was diagnosed with breast cancer in 2013, exactly 5 years ago. After her diagnosis, she had surgery; radiation and normal mainstream therapies but 2 years after her diagnosis, Edie’s cancer marker numbers started to go up again. Cancer recurred, and she elected to undergo a certain type of chemo, called safe chemo with no success, her markers remained very high and she ran out of alternatives. After some intense research, the Wilcox’s discovered An Oasis of Healing, an integrative cancer treatment center, founded by Dr. Thomas Lodi. 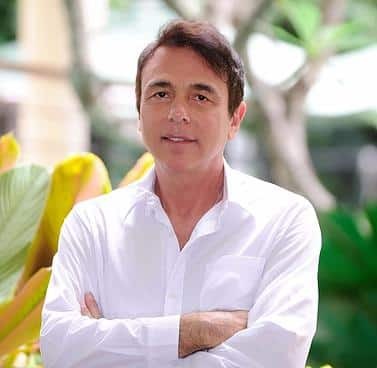 They reviewed all of the videos by Dr. Lodi, read up about the alternative treatment center and made a decision to adopt the holistic approach employed there. The videos on the integrative cancer therapies made sense and Edie started on the holistic treatments. 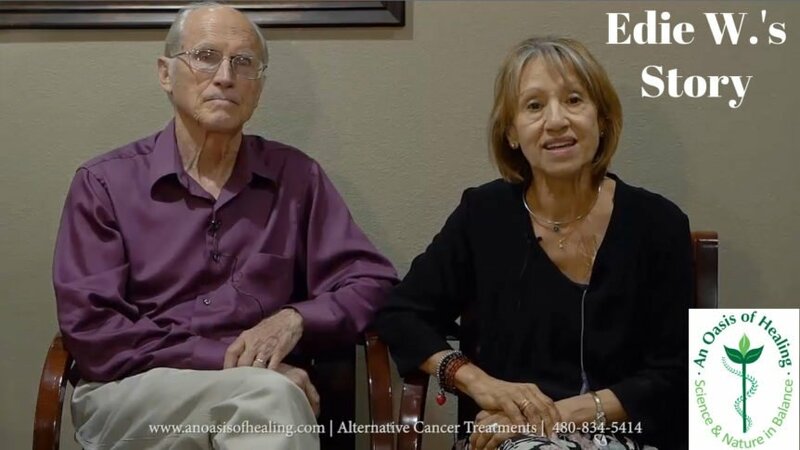 The Wilcox’s had used good judgment as after just 7 weeks of alternative treatments, the health restoration benefits of the integrative cancer treatments were unmistakable. George Wilcox, Edie’s husband, has been taking his wife An Oasis of Healing twice a week, ensuring that Edie meets her appointments. George speaks of how much they have enjoyed the company of the people they meet at the clinic. He says that all of the patients face similar situations, but each case is managed differently. George says that the one thing that stands out about the integrative cancer treatments is that they are individualized. The patient’s progress is constantly monitored, and adjustments are made according to what their readings are. Edie recounts of how when she first arrived, she felt that mainstream medicine had failed her and that she had run out of options. Her markers were high, and her state of mind was that this might be the end for her but once she arrived at An Oasis of Healing, she had felt at ease right away. The Wilcox’s tell of how the staff was always ready to help and that they felt re-assured about going forward with the treatment plan. Edie’s holistic treatments started with botanical therapy, which is the use of many different plant substances as medicine. One plant may be able to address many problems simultaneously by stimulating the immune system to help challenge cancer cells at a metabolic level. Vitamin C & other alternative intravenous therapies followed. Three weeks into treatment, Edie says that she saw her cancer markers drop, something that had not happened in 2 years and her tumors stopped growing. The Wilcox’s want to continue with the treatment plan designed by Dr. Goodyear and Dr. Mel until the tumors eventually reduce entirely. Edie’s health is stable and she is much better than when she first arrived at An Oasis of Healing. Edie says that the entire program at the integrative cancer treatment center is designed to change your life for the better, like learning a healthier, new way of preparing food. Part of the holistic approach at the clinic is adopting a raw vegan diet; both Edie and George now follow the raw vegan diet, incorporating 80% of raw foods into their daily meals. Edie and George embrace the positive changes they have made since their journey began at An Oasis of Healing and love their completely new way of life.